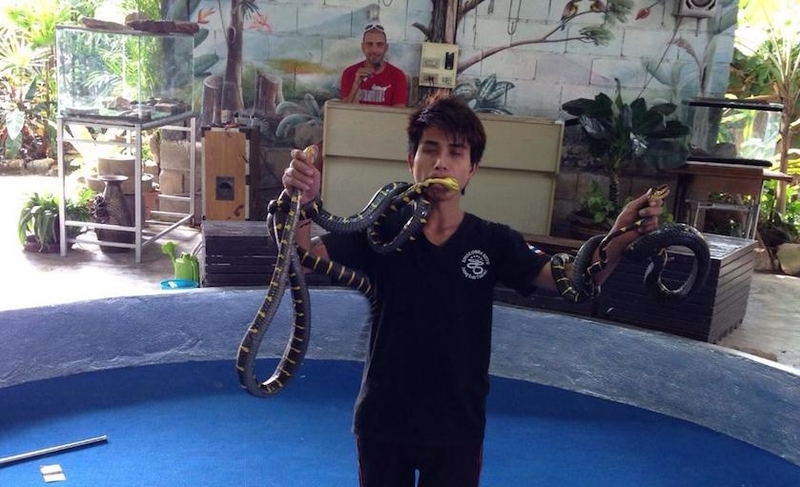 This is the local snake show in Krabi. Prior to sitting for the show you are encouraged to walk around and see the various snakes, lizards and turtles on display in cages and aquariums. 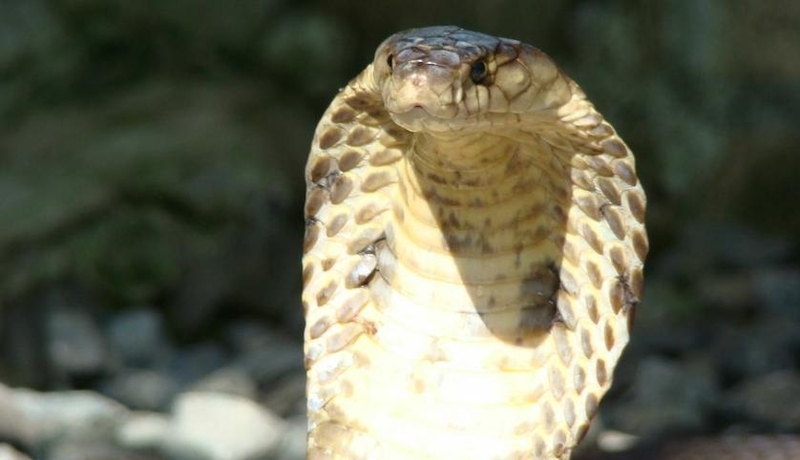 They usually have the snakes found below, as well as some other wildlife – turtles, monitor lizards, and occasionally something really different. And usually a couple more surprises like large centipedes, tarantula spiders, scorpions and fun things like that. The show is open from 0900 until 1700. You can come by yourself or with a group. There is NO SCHEDULE – there is a show when you arrive. The snake show presenters are personable and helpful. They know basic facts about the snakes and if you want a photo with one you are encouraged to do so – no extra charge. 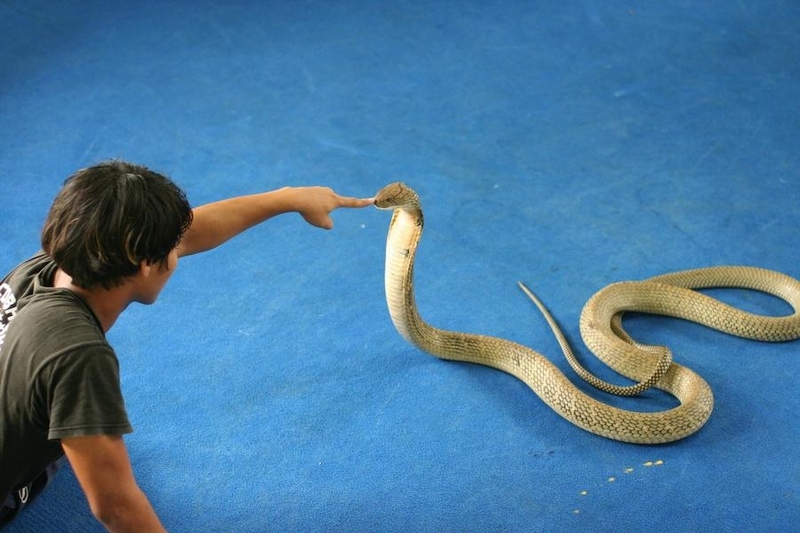 The Krabi Ao Nang King Cobra Snake Show is located close to Noppharat Thara Beach. Coming straight out of the beach parking lot you can go up the road. Follow the road bearing left at the yellow Muslim temple (following the road actually, not a left turn). Go about .5 km and the snake show is on your right side.